Summer is coming in full swing. That means graduation parties, trips to the park and lots of outdoor get-togethers. People all over are firing up their grills and greasing their skillets to cook up delicious backyard favorites like hot dogs and burgers. 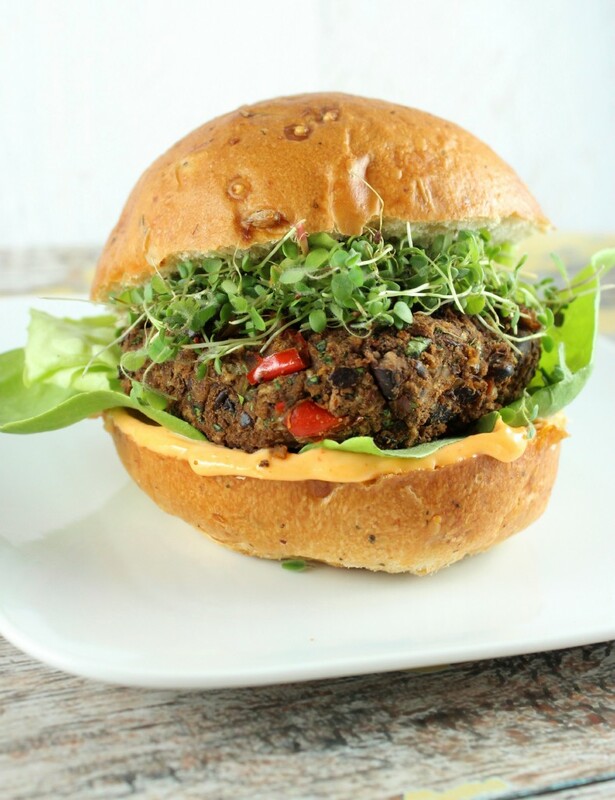 In preparation for the hot season, we’ve whipped up a delicious Black Bean Burger recipe that will satisfy even the most stubborn meat eaters in your family. A long time favorite of vegetarians and vegans alike, the Black Bean Burger has been a healthy alternative to beef patties since antiquity. The tradition of forming vegetable mixes into fried patties likely originated in the countries of Eurasia and spread from there. Cooks have been crafting new bean burger recipes to cater to vegetarians ever since. This particular recipe is unique among fried veggie patties in that it doesn’t call for any eggs as a way to hold the mixture together. Instead, all you need to do is make sure the mixture is well pureed and has plenty of bread crumbs to hold it all together. 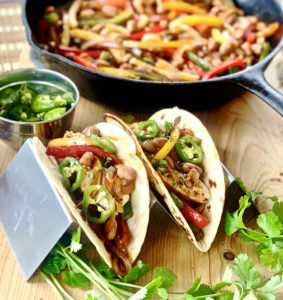 The Randall Black Beans make a perfect substitute for meat and provide many of the same nutrients, like iron and protein. The color of the beans also helps make the burger patty look more meat-like after cooking. In a small skillet, heat olive oil over medium heat. Add the diced onion and bell pepper, paprika, cumin, salt, black pepper and red pepper flakes and cook until vegetables are soft, about 5 minutes. 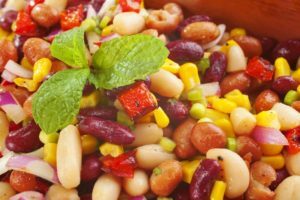 Add the cooked vegetables to a food processor along with all but ½ cup of the black beans. 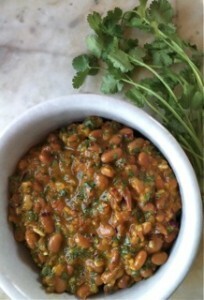 Pulse until you have a thick paste with only a few chunks of vegetables or beans. Pour the pureed mixture into a large bowl and stir in the whole black beans and breadcrumbs. Create four burger patties by taking about half to 2/3 cup of the mixture into the palms of your hands. Roll and press the black bean mixture into the shape of a burger and set on a plate. Repeat until you have 4 equally-sized burger. Refrigerate for 10 minutes. Grill the burgers for 5-7 minutes on each side or until a crust on the outside forms and the burgers are warmed through. Create a spicy condiment for the burgers by mixing the mayonnaise and hot sauce together in a small bowl. Spread 1 tablespoon onto each burger bun. Place the burger on top of the bun, followed by the lettuce, microgreens and the other half of the bun. Serve and enjoy! This is just one of our many bean burger and grilling recipes. 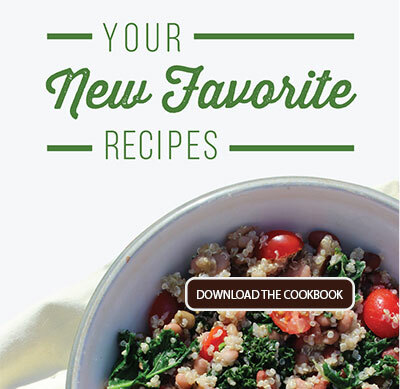 Check out more with a free download of our eCookbook, Bean Burgers & More!